FileHold Systems Inc is the designer and developer of affordable electronic document management software for medium sized companies or departments of large organizations. 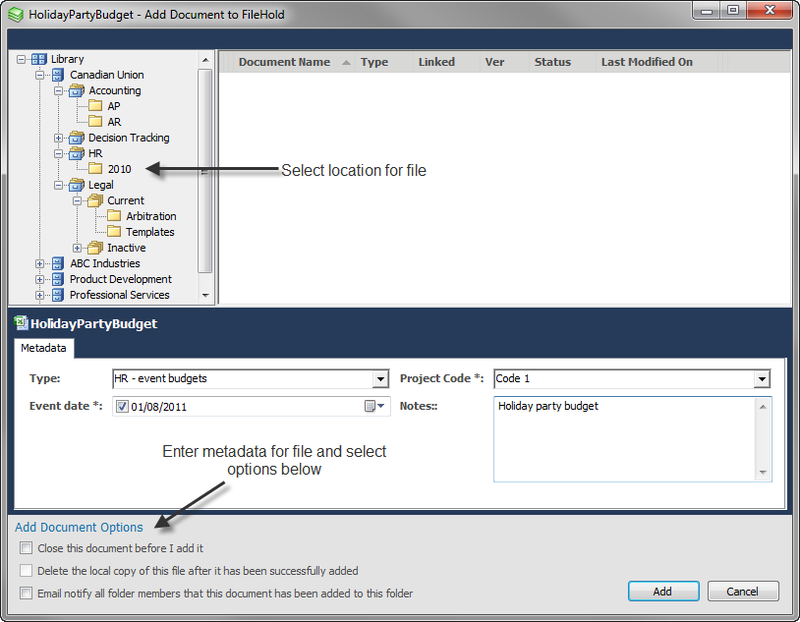 FileHold is full-featured document management software for any size of business. Its enterprise class suite of features provide for document capture, indexing, storage, search, versioning, and workflow reviews and approvals. Available in the cloud or installed locally on your server for total security. Desktop, browser, and mobile device ready. FileHold document management software makes it easy for organizations to improve security, increase compliance, streamline operations, and reduce the use of paper while saving time and money. “Go paperless, go green” with FileHold document management software. FileHold document management software is: easy to install, easy to use, feature rich and affordable for small or large organizations. Our management software can operate within the Microsoft Office or SharePoint document management environment you already have in your office. 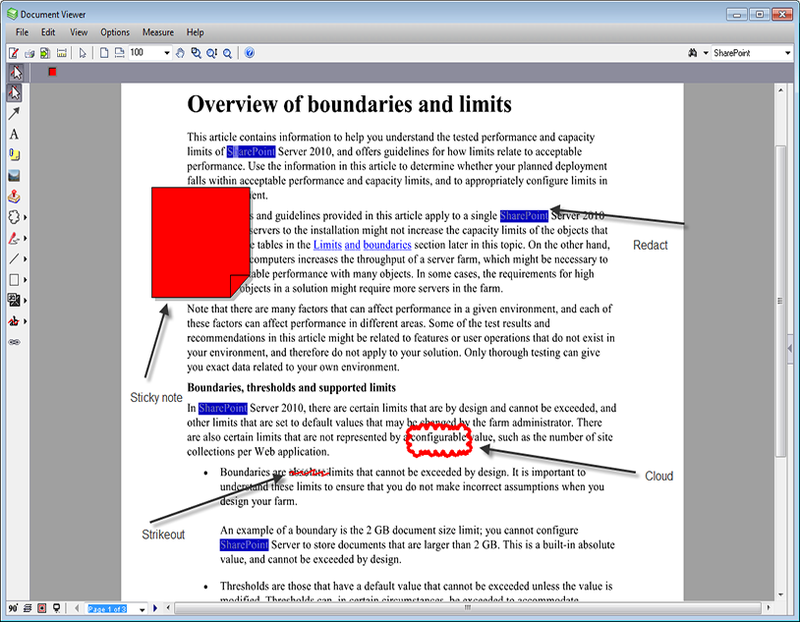 Version control Software: Every version of every document is uniquely numbered to prevent accidental overwrites and deletions. 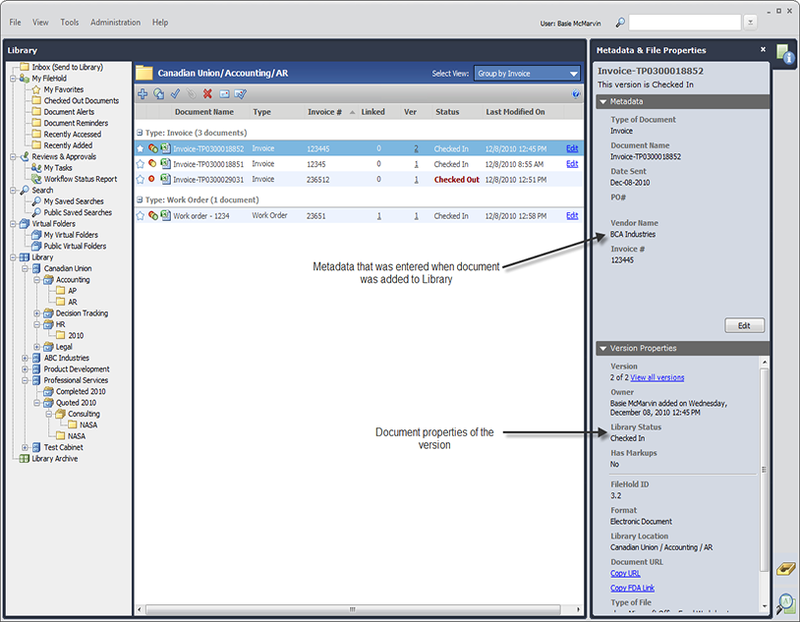 Document scan and management software: FileHold document management software ships with scanning software to support over 300 different scanner or MFC types. Document Archive Software: Retain document, data and usage history needed to stay in compliance with SOX, HIPPA etc. 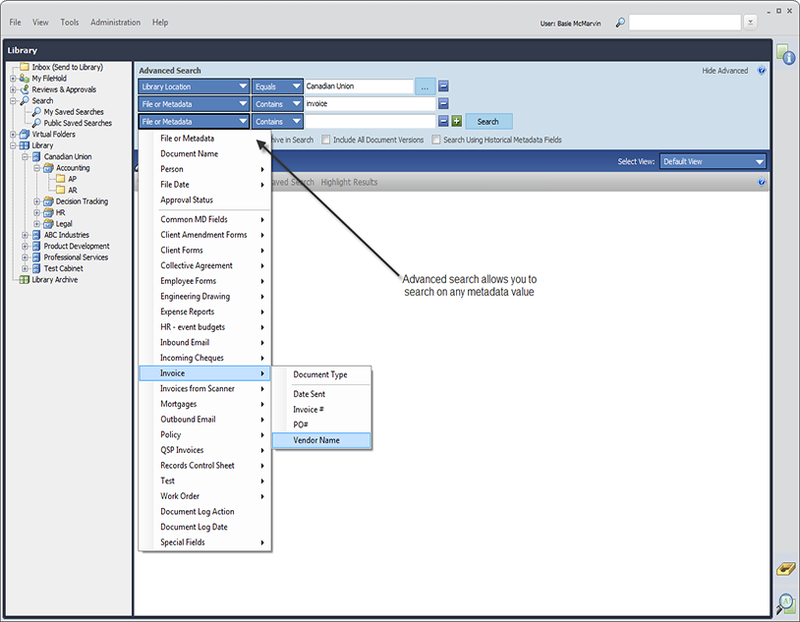 Document Search: Find what you need based on Powerful Full-text and Tag Based search. Microsoft SharePoint and Office : Direct access from FileHold to Word, Excel, Outlook, PowerPoint and Visio. Install as a Web Part of SharePoint. Document Filing Software: Easy to use controlled document tagging ensures documents are classified for recovery.